At the beginning of 2015 Norbert Bisky had been living and working in Tel Aviv for three months. 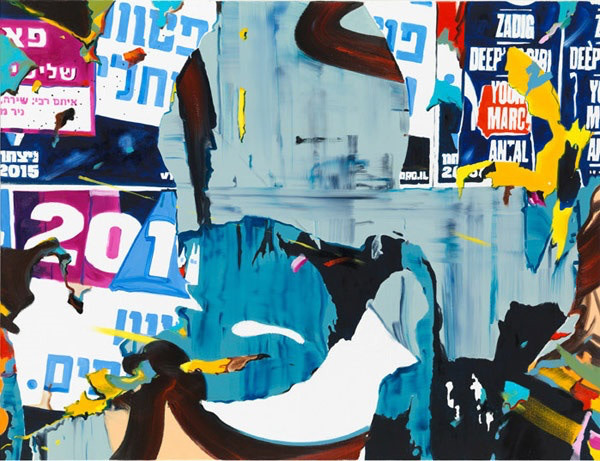 This solo exhibition at Givon Art Gallery refers to the time he spent in Israel. In his new body of work Bisky memorizes and reflects fragments of his daily routine: his way to the studio, the media landscape and media reporting, linking religious, sociological, historical and contemporary discourses to his own perception.